Baby Z's hair is getting long and with it's baby fineness, it tangles easily. When researching spray hair detanglers--it hit me--I can make my own using what I already have! Directions: Squirt a small amount of conditioner in a spray bottle. Fill the rest up with water. Shake, shake, shake! 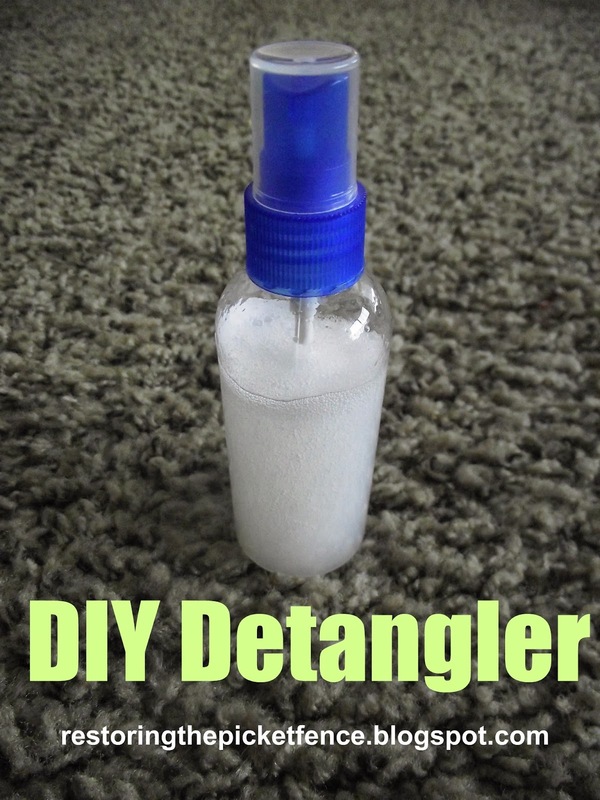 Now you've got your own DIY hair detangler!